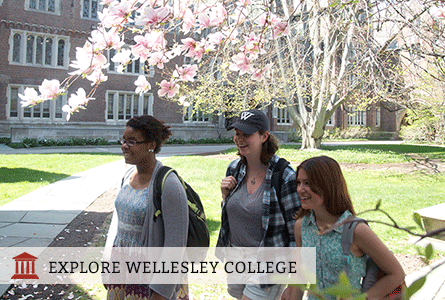 Wellesley's 1,000+ courses, 50+ majors, and 15 foreign languages help students acquire a broad knowledge of the basic fields of human inquiry and develop critical thinking, an appreciation of varied approaches, and the power to communicate effectively. The student/faculty ratio is 7:1; classes are small, taught by superbly talented professors dedicated to their students’ success. Students can cross-register at MIT, Babson, Olin, and Brandeis; more than 50% of students study abroad (financial aid goes with you). More than 80% of seniors complete at least one internship; hundreds of research opportunities are available, often one-on-one with a professor. 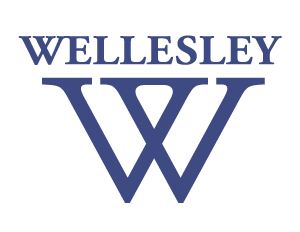 Wellesley’s Madeleine Korbel Albright Institute for Global Affairs educates women for positions of leadership and fosters an innovative approach to problem solving.